Here's some information from a Polish university about the casting technology used in Poland for the production of T-72M1 turrets. This information is available because of the efforts of Jarosław Wolski, known online as "Militarysta". We've had several long discussions about the composition and physical properties of the "Kvartz" filler inside the turrets of T-72A and T-72M1 tanks and the method of constructing the turrets (it was mostly him educating me). We know that the composite filler of the T-72A/M1 turret is embedded inside the turret cheek cavities during the casting process of the turret itself, and that the "Kvartz" filler is a sintered ceramic block that acts as a casting insert during this casting process. We know that the "Kvartz" blocks are made by sintering quartz sand with several additives at a temperature of 1,200°C at high pressure, but without knowing the ingredients of the compound, accurate estimations of its physical properties were not possible. Until this information becomes publicly available, this document will remain one of the best sources. 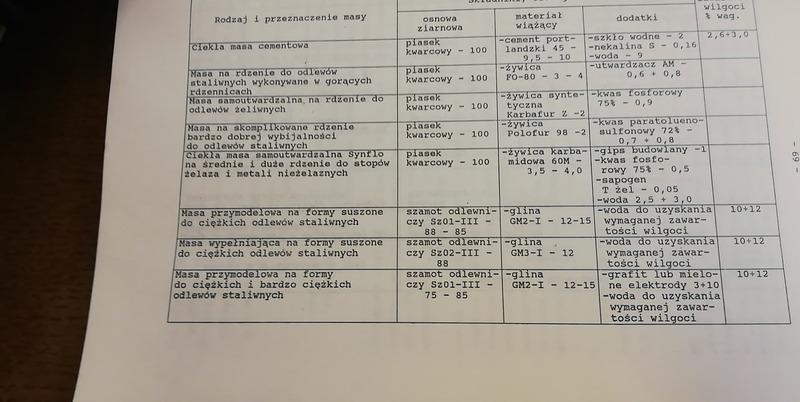 The last row in the table describes the "Kvartz" casting/armour insert as used in Polish T-72M1 tanks. This material is composed of Quartz sand with a 30% content of aluminum oxide and titanium dioxide. How closely this corresponds to other T-72M1 and T-72A turrets is hard to determine. I'd say that it depends on how much technology transfer occurred when Poland bought the licence for the T-72M1 and if they had to make significant modifications to adjust the technology to suit their manufacturing capabilities. Anyone knows how is this different from the siliceous core armor specified for the MBT-70? I don't know if there are differences between this and the siliceous core armour developed during the 1950's that has been quite thoroughly documented, but if they are the same, then the answer would be relatively straightforward. One is a glass and one is a ceramic. They don't interact with shaped charge jets the same way. There was never siliceous-cored armour specified for the MBT-70 project. The plans to use such armour were stopped with the XM60 tank developpment. It is fused silica glass and not comparable to the kvartz armour. The ratio used in the insert (80% clay / 20% graphite) is somewhat higher than what was used in the publication (up to 70% clay) but they tell us what to expect from this higher ratio: reduced porosity, increased modulus, increased energy absorption and increased compressive strength. All good things. A pity the university document doesn't mention sintering temperature. The IJME publication claims the optimal temperature is near 700degC, and another point of congruence would have been satisfying. Edited by TTK Ciar, 07 April 2019 - 2130 PM.